Day by day she grows. Minute by minute we love. Friday, 4 April 2014: One Year and Three Days Old. How is it possible for Ayla to get even more cute every day?! Each morning when Ayla wakes up it’s as if she’s become cuter overnight, and then when bedtime rolls around and I put her down to sleep I swear she’s cuter than she was that morning. It’s a never ending cycle of cuteness and I can’t believe it’s so. Does every one feel like this with their babies? Is it possible that Ayla might become simply too cute for me to handle and I’ll implode with delight? Or will the cute-o-meter explode before I do and Ayla will become, dare I say it, ordinary? Surely that could never be the case but Hubby and I have definitely won the ultimate lucky dip prize; Ayla is clever, friendly, easygoing, kind, funny AND adorably and irresistibly cute… Trifecta!… Twice! 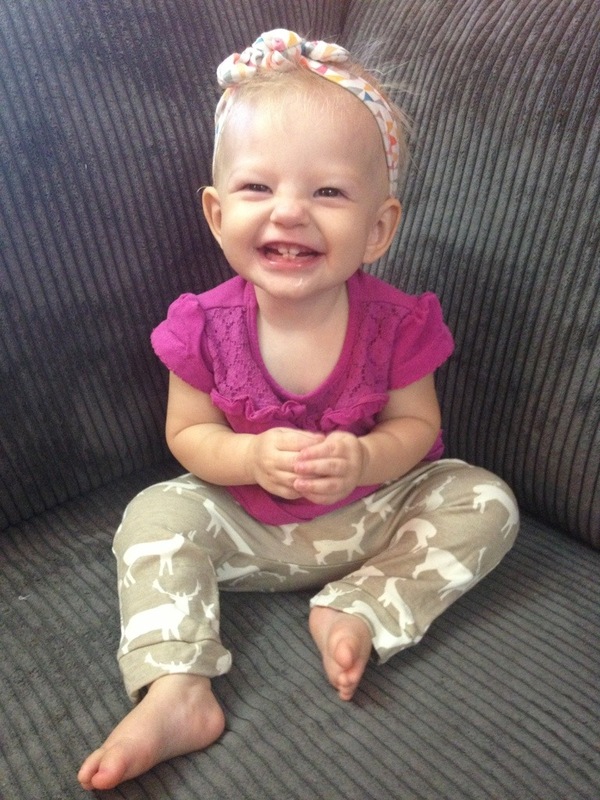 PS – how adorable is Ayla in this pic!? She’s wearing a headband and leggings from Melbourne children’s designer Kapow Kids that we won in a Facebook competition. When we went to music class today we were only there for five minutes before someone commented on how cute Ayla looked, so maybe it’s not just me after all! she is a wee smasher!!! All families have shadows, this one has black holes. All posts are 100% true. All families have shadows, but these are more like black holes. Every story in this blog is 100% true. Buy a product, help a person in need + see your impact.